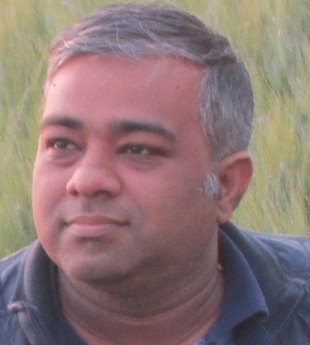 BestGhazals has completed ten years*. It was started in 2006. 1. 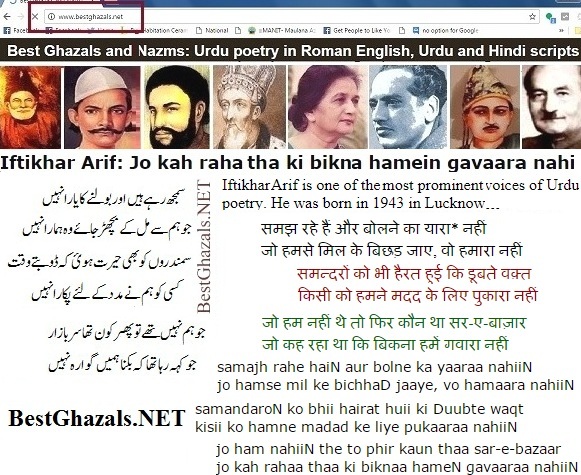 It was the first site that put up Urdu poetry in three scripts [on the SAME page] and this remains its uniqueness. The aim was that those not proficient in one script could understand by reading any of the other two scripts. 2. The idea was to present a selection of representative Urdu poetry--not just Ghazals, but also Nazms; around 200 poets and a few hundred verses. That, the quantity may not be too much, but there should be variety--classical, progressive, modernist and post-modernist poets' works. 3. So that it would help develop interest and later the person can turn to books and diwans. When Bestghazals (dotNET) was started, it was pre-social media era. 4. In those days, Unicode wasn't popular yet. Urdu and Hindi fonts were not visible on most computers, unless those fonts were downloaded by users, and hence I would type the poetry using Inpage and then make image file so that it could be read in Nastaliq script. 5. Also, it helped people learn and improve their command over Urdu as those who recognised the alphabet or have a primer can tally words [and check pronunciation] with the Hindi or Roman English alongside, easily. 6. Most verses have meanings of tough words in the 'mini-dictionary' in the end (again on the same page, no extra clicks required). 7. From the beginning search results were good and it got good traffic for the dotNET domain. Yes, a couple of million page views, aren't bad despite no SEO or social media push. And when there was no financial investment. 8. Most of my friends and well-wishers thought that I didn't give it due attention and should have promoted it. Yes, it's true, especially, the last few years. I was occupied with other things. I don't regret. You would find more here in coming days. 9. Emphasis was on quality and authenticity. Pure literature was to be given space. For example, many famous poets' ghazals were included in movies or were sung and in process some couplets (not original) were included that find way in the ghazals on internet. 10. In some cases, couplets from alternative versions written later were sung in Qawwalis and this added to confusion. The aim was that original content without such mistakes was taken so that readers can check in case of any doubt.